Firstly, I have to say I most certainly don’t have a problem with the sound in this one, as reviewers on some media seem to. It is clear, full and bassy and in good stereo. 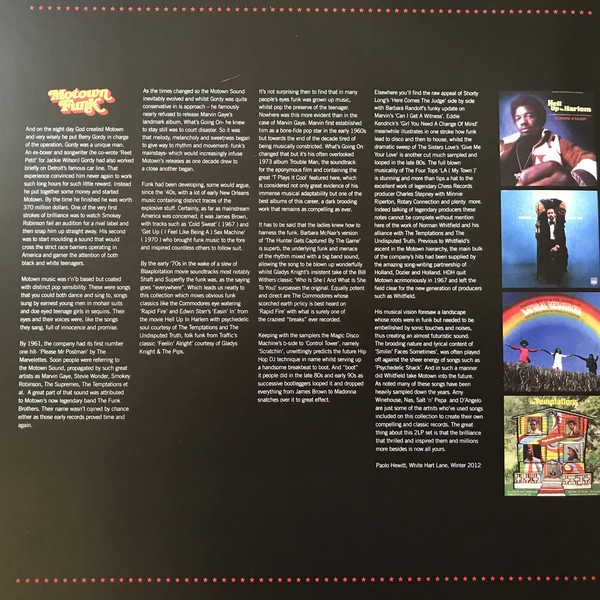 Secondly, some would appear to be complaining that the compilation isn’t “proper funk” because there is no James Brown or Parliament on it. Well, guess what - those artists did not record on Motown. 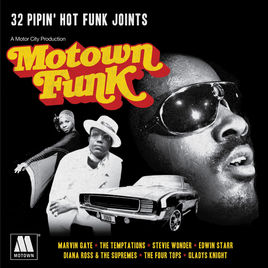 Motown was not a funk label, as such, so this labels attempts to seek out tracks from that label which did have some funk about them. Shorty Long’s “Here Come The Judge” and The Undisputed Truth's take on The Temptations’ “Ball Of Confusion”, for example. The Stevie Wonder/Syreeta collaboration, “To Know You Is To Love You” is excellent, with a great instrumental extension. Barbara McNair’s “The Hunter Gets Captured By The Game” may not be pure funk, bit it sure has soul, ditto Gladys Knight’s cover of Traffic’s “Feelin’ Alright”. She also gives us a stonking cover of Bill Withers’ “Who Is He (She) And What Is He (She) To You”. However, if Edwin Starr’s “Easin’ In” isn’t funky I don’t know what is. 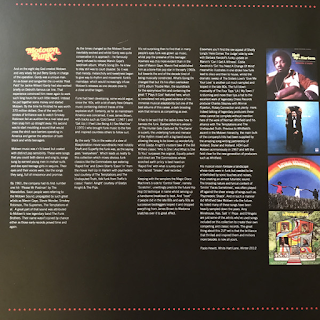 The Temptations “Psychedelic Shack” needs no intriduction, but some may not have come across Gordon Staples’ “Strung Out” and Yvonne “It Should Have Been Me” Fair’s “You Can’t Judge A Book By It’s Cover”. Eddie Kendricks’s “Girl You Need A Change Of Mind” certainly cooks. Similarly, Marvin Gaye’s “T” Plays It Cool”.